The announcement comes four days ahead of the interim budget to be presented by the Narendra Modi government before the Lok Sabha polls due before June this year. It also follows the NDA government's decision to give 10 per cent quota to the economically backward section in the general category and a likely announcement of a relief package for farmers grappling with falling prices of their crops and to tackle distress in the farm sector. "The Congress has decided to take a historic decision...The Congress-led government is going to give minimum income guarantee. This means, every poor person in India will have a minimum income. This means there will be no hungry, poor people in India (any longer)," Gandhi said. Later, he tweeted, "We cannot build a new India while millions of our brothers & sisters suffer the scourge of poverty." "If voted to power in 2019, the Congress is committed to a Minimum Income Guarantee for every poor person, to help eradicate poverty & hunger. This is our vision & our promise," he said in his tweet. "We don't want two Indias. There will be one India, and in that India, the Congress will give minimum income to every poor person. No government in the world has done this till now. The Congress is going to do that, it will be a historic feat," Gandhi said at the rally. The BJP-led Union government wrote off Rs 3.5 lakh crore worth of loans of 15 big industrialists but "did not waive the loans of the country's farmers", he alleged. Continuing his attack on the Centre over the Rafale figher jet deal, he reiterated the allegation that the government ensured a "benefit" of Rs 30,000 crore to industrialist Anil Ambani in this "world's biggest defence contract". Both the Government and Ambani have rejected the allegation. On the contrary, the BJP-led governments cited lack of funds whenever the Congress demanded farm loan waiver, Gandhi alleged. "Narendra Modi and the BJP want to create two Indias -- one of loan waiver (for industrialists), Rafale scam, Anil Ambani, Mehul Choksi, Nirav Modi and Narendra Modi. In that you will get whatever you want...If you want Rafale contract, you will get it. If you want land, water, electricity, you will get it," Gandhi said. "The other India is of the poor, the weak, farmers, the youth. You are not going to get anything in that India. There you will only get 'Mann Ki Baat', 24 hours only 'Mann Ki Baat'," Gandhi said, referring to the prime minister's monthly radio address. Gandhi also said the Congress had promised to waive farm loans in Chhattisgarh within 10 days of coming to power, but implemented the decision within a day after forming the government. He also distributed loan waiver certificates to some of the beneficiary farmers during the event, which was attended by Chief Minister Bhupesh Baghel and senior Congress leader P L Punia. The Congress posted a massive victory in last year's Assembly polls in Chhattisgarh, winning 68 of the total 90 seats and ending the BJP's 15-year rule. Garibi Hatao ("Remove Poverty") was the theme and slogan of Indira Gandhi's campaign for the 1971 Lok Sabha elections which was won by the Congress under her leadership giving her a second term as the prime minister. In a series of tweets, Chidambaram, a former union finance and home minister, said 140 million people were lifted out of poverty between 2004 and 2014, when the Congress-led UPA was in power. "Congress president Rahul Gandhi's announcement at the farmers' rally in Chhattisgarh is historic and will mark a turning point in the lives of the poor," he said. Chidambaram said the principle of Universal Basic Income (UBI) has been discussed extensively in the last two years and the time has come to adapt the principle to the country's situation and the needs and implement the same for the poor. "We will explain our plan in the Congress Manifesto," he said. Chidambaram is the chairman of Manifesto Committee of the Congress for the 2019 polls. 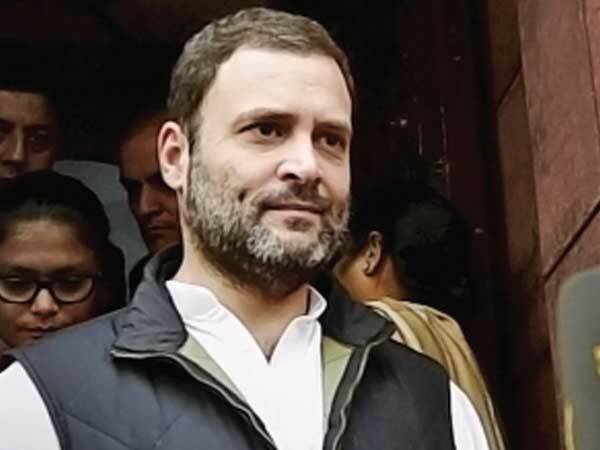 The Congress leader said "the poor in India have the first charge on the resources of the country and the party will find the resources to implement the promise of Rahul Gandhi". "140 million people were lifted out of poverty between 2004 and 2014. Now we should make a determined effort to wipe out poverty in India," he added.